Leader of the Indigenous Peoples of Biafra, Nnamdi kanu, has made real his threat to “scientifically unmask the impostor in Aso Rock ” as he has released various photos of President Muhammadu Buhari, and asked the public to judge. Kanu released the photos on his twitter handle few hours ago, and the pictures have gone viral. 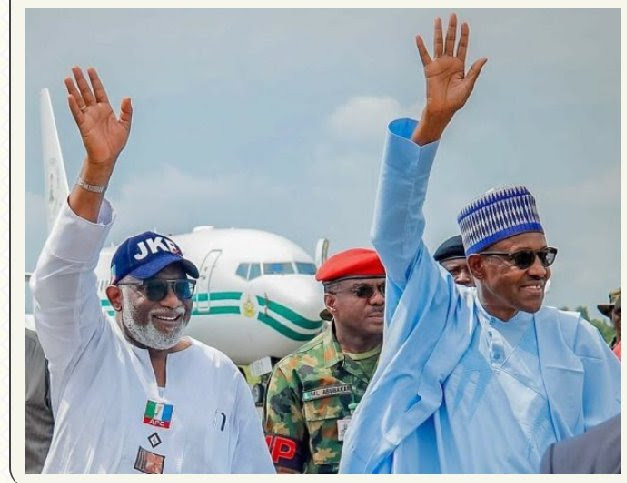 The photos released include the President’s pictures taken shortly after he cast his vote in 2015 as well as his recent photos. His words :”Unbelievable! 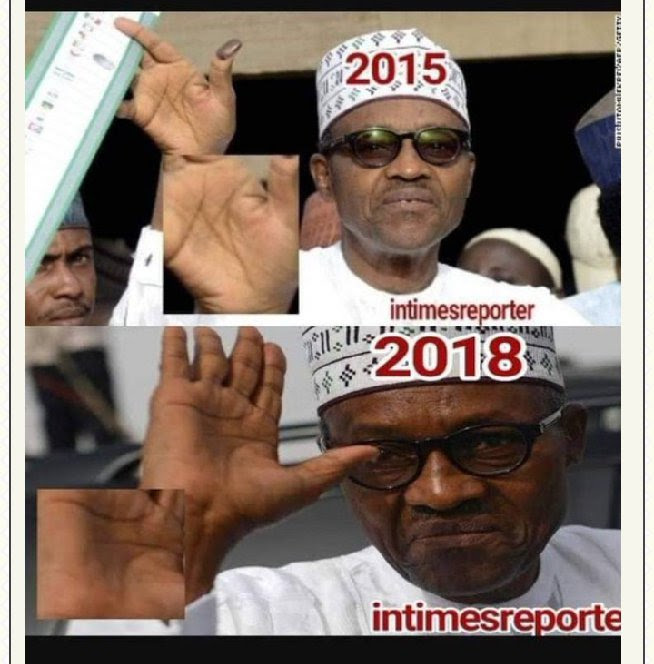 Does it mean the right palm of Nigeria’s president also changes as the years go by? 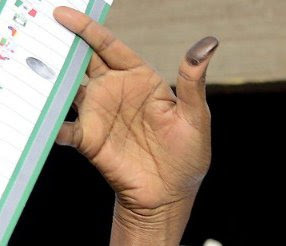 “Examine the marks on his palm in 2015 after voting, compare it with the marks on his palm in 2018 to understand the gravity of the fraud going on in Nigeria. #UnmaskJubril”. 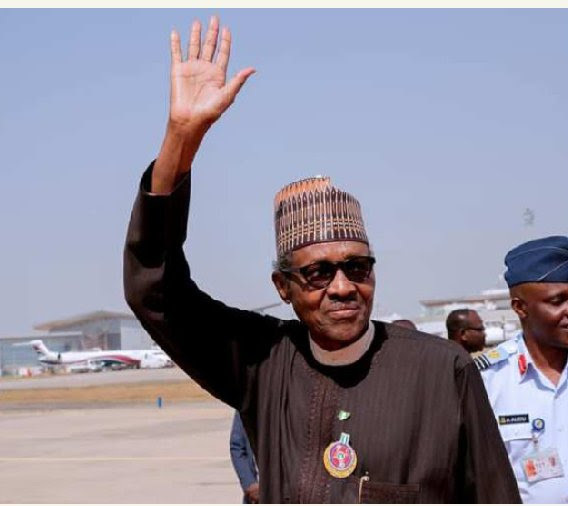 “We have also searched for more recent photos of Buhari’s palm for your analysis. Kanu promised to make more shocking revelations in the days ahead. 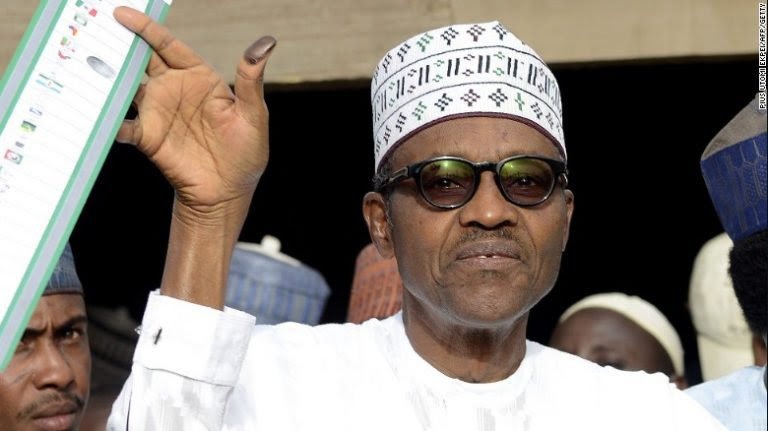 Previous Previous post: Fayose to Buhari : Where is the $1b withdrawal for military equipment?